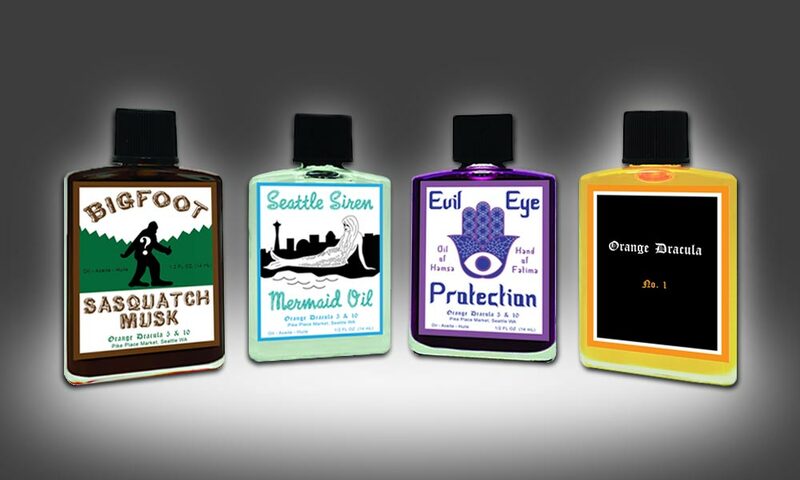 PROJECT: Labels for a line of essential oils. 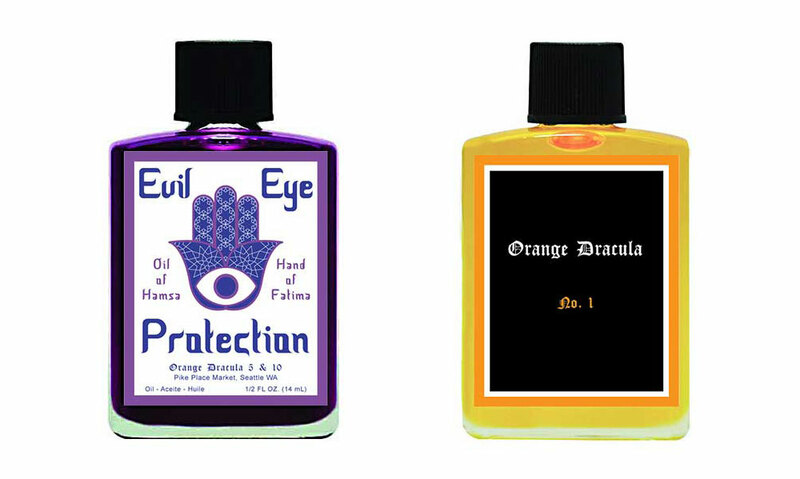 NOTES: Seattle retailer Orange Dracula wanted their own in-house line of essential fragrance oils. 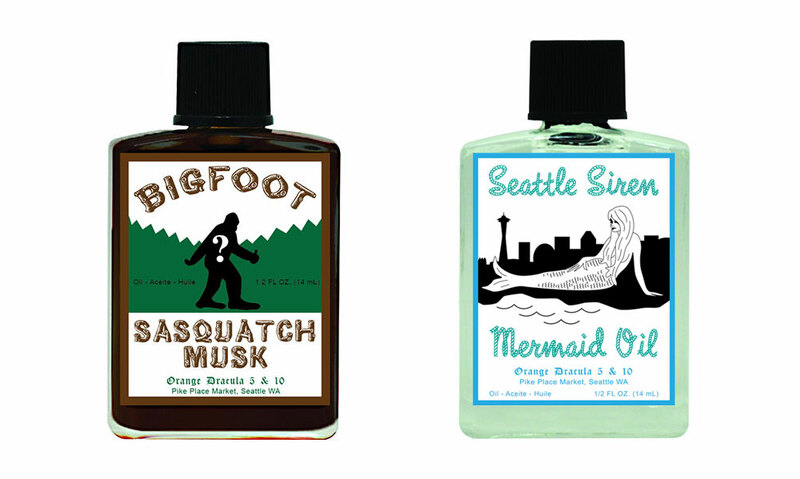 These playful designs captured the spirit of the store, while referencing established brands.